Today’s flying pig moment comes courtesy of soon-to-be-ex Libyan leader Muammar Gadhafi, who “relates” to Israel. Long-time Libyan leader Muammar Gadhafi said Monday in an interview with TV network France 24 that his violent crackdown on opposition protesters is akin to Israel’s efforts to defend itself from extremism during its 2009 Gaza war against Hamas. Libya has come under international scrutiny in recent weeks, in response to violent clashes between the Libyan military and anti-Gadhafi rebels, confrontations which caused what are estimated to be hundreds of deaths. “It’s the same thing here! We have small armed groups who are fighting us. We did not use force from the outset… Armed units of the Libyan army have had to fight small armed al Qaida bands. That is what’s happened,” Gadhafi said. Of course, the sanity-challenged one was marching to a different drum doing Operation Cast Lead. Libyan leader Muammar Gaddafi on Sunday accused Arab leaders of a “cowardly” response to Israeli attacks on the Gaza Strip. He said they had failed to support the Palestinians in the enclave beyond offering humanitarian aid or discussing a possible Arab summit. “These characters should be ashamed of themselves. They are trading on the name of the Palestinian cause with their cowardly, weak and defeatist stands,” said Gaddafi, referring to Arab leaders and their attempts to find a common position on the Israeli raids. Gaddafi said it would be better if Arab leaders did nothing or said nothing until they were able to come up with measures to deter Israel from attacking Palestinians. 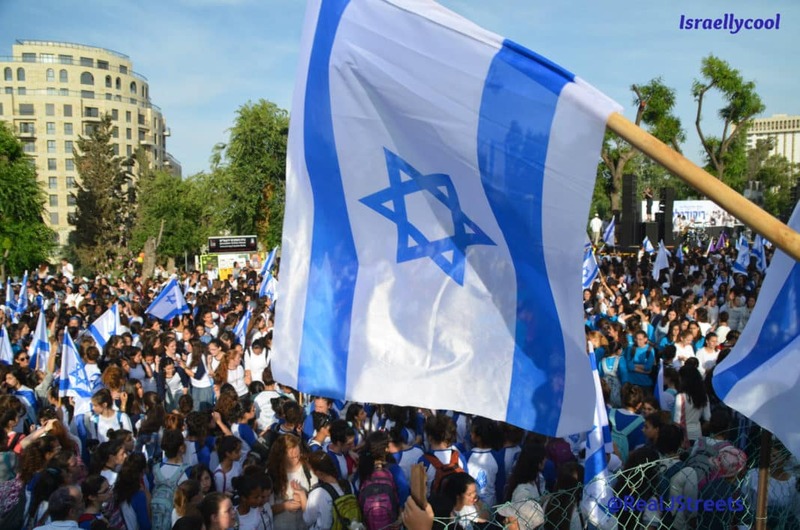 “Arabs are the ones who need peace, not the Israelis who live in peace. Who are dying in their dozens and hundreds? They are Arabs,” he added. And he’s on record as supporting Hamas. Libyan leader Muammar Gaddafi on Friday expressed support for the Palestinian people under Hamas rule. A report released in the Libyan press announced that Tripoli would continue to assist the Palestinian people in their just struggle to establish a state. In fact, less than a year ago, Hamas invited Gaddafi to visit. Why the change? Perhaps he’s pissed at Hamas’ stance on his crackdown. Or alternatively, he knows he’s not the most popular person at the moment, and wants to take Israel down with him. 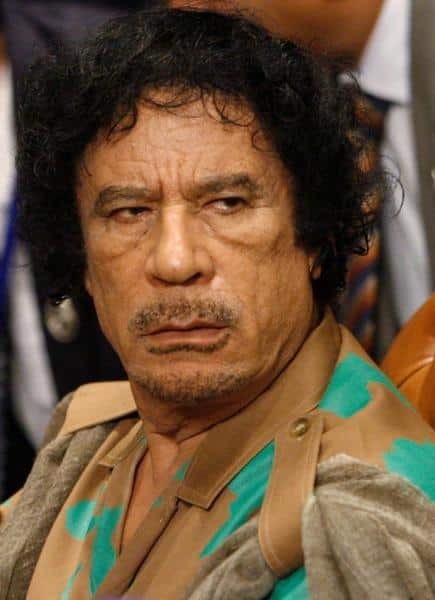 Update: Still on the subject of Gaddafi and Israel, ant-Gaddafi rebels seized British special forces and intelligence agents – thinking they were Mossad! The six SAS troops and two MI6 officers were seized by Libyan rebels in the eastern part of the country after arriving by helicopter four days ago. They left on HMS Cumberland, the frigate that had docked in Benghazi to evacuate British and other EU nationals as Libya lurched deeper into conflict. The diplomatic team’s departure marked a perfunctory end to a bizarre and botched venture. Audio of a telephone conversation between the UK’s ambassador to Libya, Richard Northern, and a senior rebel leader was later leaked. According to Guardian sources, the British intelligence and special forces unit were caught near the al-Khadra Farm Company, 18 miles (30km) south-west of Benghazi. A senior member of Benghazi’s revolutionary council said: “They were carrying espionage equipment, reconnaissance equipment, multiple passports and weapons. This is no way to conduct yourself during an uprising. “Gaddafi is bringing in thousands of mercenaries to kill us, most are using foreign passports and how do we know who these people are? British forces using fake passports? Where’s the outrage?